As we know, Google Wallet as a product is probably not too long for this world, at least in the sense of being a product that people actually care about. Android Pay is taking over Google's mobile payment ambitions on Android, Google Payments is now the name of Google's payment system for content on Google Play and your general Google "money management" interface, and then there's Google Hands Free but we're not exactly sure what's going on there just yet. This leaves Wallet in a precarious position, particularly once Android Pay actually is released and its mobile app becomes essentially obsolete for anything but money transfers. 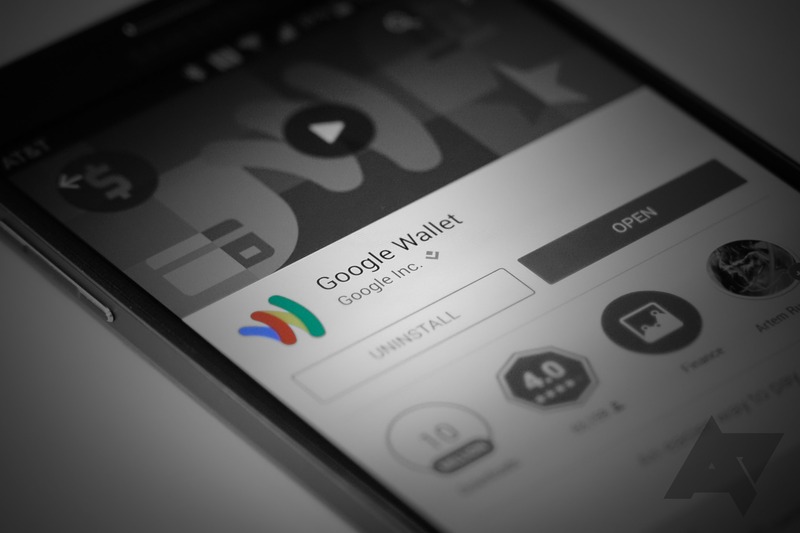 Wallet was originally intended be the cover-all brand for Google's payment and monetary products and services. Google Wallet would record your transactions, allow you to store money in an account balance, transfer money to others, pay via NFC on your smartphone, buy things on the web, and process your transactions on Google Play by acting as a virtual... wallet, for your credit cards. You can purchase apps and digital content on Google Play using payment methods from your Google account. If it's your first time making a purchase, your payment method will be added to your Google account. While it lacks the Google Payments branding, it's clear that's what Google means. Even going to wallet.google.com now presents you with a startling lack of references to Wallet (apart, again, from the Wallet balance), as we previously pointed out. Here are a few other changes to the page. Google previously confirmed to us that users could expect the Wallet name to slowly give way to Google Payments and Android Pay, while Wallet would stay on primarily as a money transfer service akin to PayPal. Android Pay will likely take over all of Wallet's mobile payment and card-repository responsibilities, while Google Payments will serve as a transaction history portal, the name for payments on the Play Store and on the web (for things like the Google Store), and as a general management interface. This will leave Wallet with, essentially, one remaining purpose in the Google app portfolio: sending and receiving money from other Wallet users (and, relatedly, holding a balance). If you ask me, that all but confirms a designed death spiral for Wallet, with Google most likely just wanting to wait out the drain that will begin in earnest once Android Pay launches. Once that happens, there's no real reason for the Wallet app or service to exist as standalones, and I strongly suspect we'll see them merged under the Google Payments and Android Pay banners. As for the Wallet card? There's no indication it was ever exactly popular, and it seems likely to me Google will just sweep that little experiment under the rug eventually. You can still order one, but there's been exactly zero new features or capabilities added to it since launch. A launch, by the way, that occurred a full year after we initially leaked the card with an identical set of features. Why exactly the company feels the need to do a complete rebrand of its payment strategy remains unclear. What is clear is that Wallet has become something of a dirty word at Google.